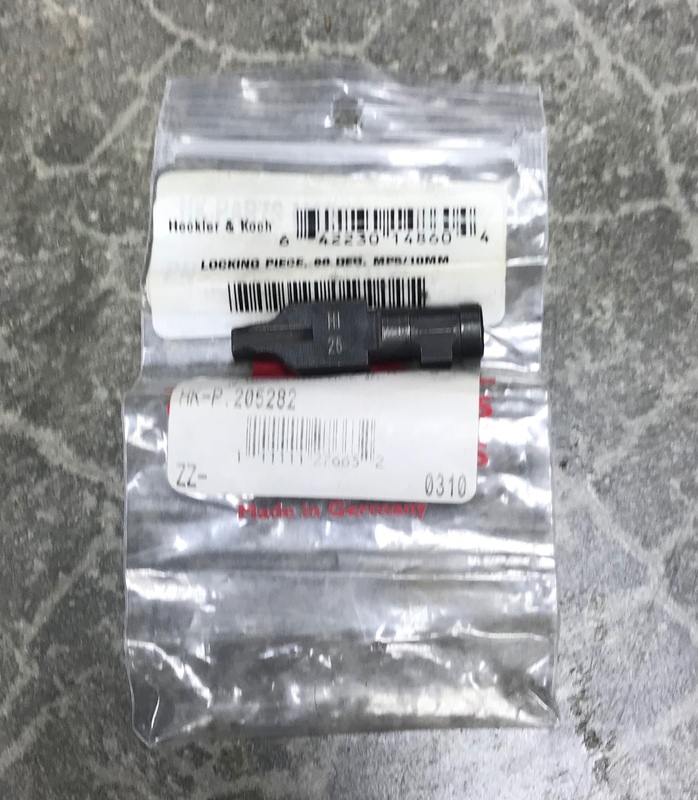 Brand new HK #24 60 degree high impulse locking piece for the MP5/40 and 10mm MP5's. This locking piece is for use of +P and +P+ ammunition. The HK stock number is 205282.